The modification you've been waiting for. The long overdue modification of the Shure SM57 has arrived. Have you ever wanted to bend your SM57 so your drummer stops hitting it? 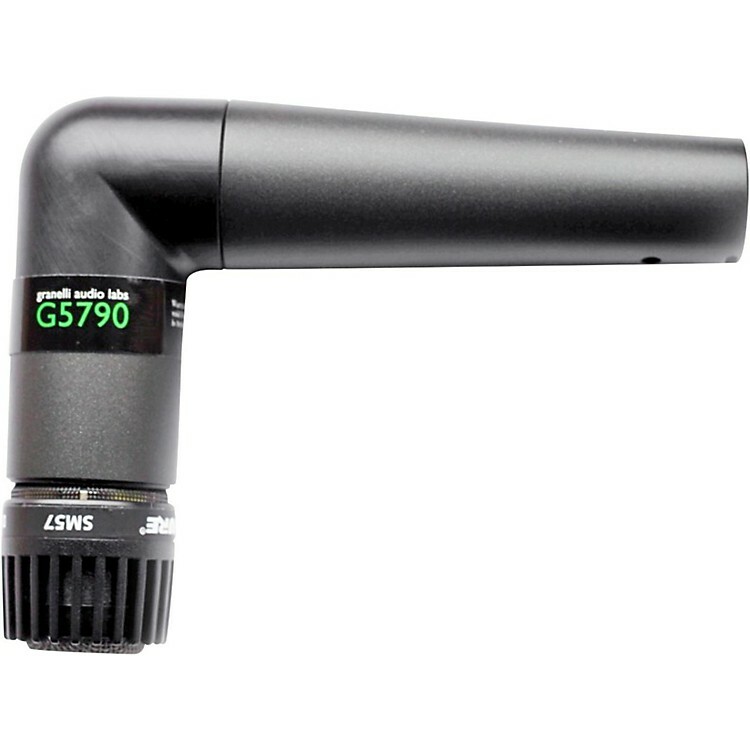 The G5790 is a real SM57 modified to turn 90 degrees. Granelli Audio Labs uses brand new Shure® SM57s and inserts a custom-made aluminum part with an acoustically engineered internal sound path. The result is a microphone that maintains the SM57's renowned durability and familiar tone while increasing functionality. The G5790 gives engineers more options when miking crowded drum kits, allowing them to choose a position that minimizes unwanted bleed and does not obstruct the drummer. It also creates a neater appearance and takes up much less space on stage when miking speaker cabinets, percussion, and a number of other sources. Inside the handle of the SM57 is a small acoustic chamber that affects the tone of the microphone. Granelli’s patented design manages to change the shape of this chamber without increasing the air volume. That is critical to keeping the sound that engineers know and trust. Granelli did not adjust the frequency response, alter the pickup pattern, or change any other components inside the microphone. It's still the mic engineers love, with the mod it's always needed. The part that Granelli added is machined out of a solid block of aluminum and then threaded into the original microphone's body. The modifications are done by hand without the use of power tools, welding, or any other process that may harm the original microphone. Each unit is individually tested after modification, and guaranteed by a two-year warranty. Order today. You've needed these for a while now.